But on a night 20 years ago, the balance of this world was offset. The happenings of that night are unkown till today for all. Until today, no one knew what truly happened that night. The only sign, one that even normal humans could sense, was the 'Hoshi no Ame': a rain of colorful stars all around the world. 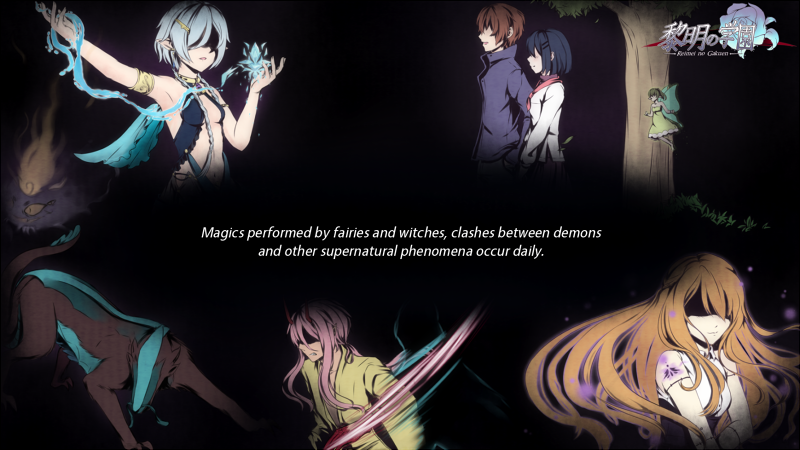 Since then, there have been several mysterious occurrences that even supernatural beings could not explain. ... is a famous school with outstanding results in education and sports in the eyes of normal humans. But it's also the main location of the attempts to save those bearing a shin in the form of a special class, the Crystal Rose. - 70+ hours of game content with branching paths. - Partly/fully original soundtrack. Opening and ending video. Thank you everyone! + What happens now? 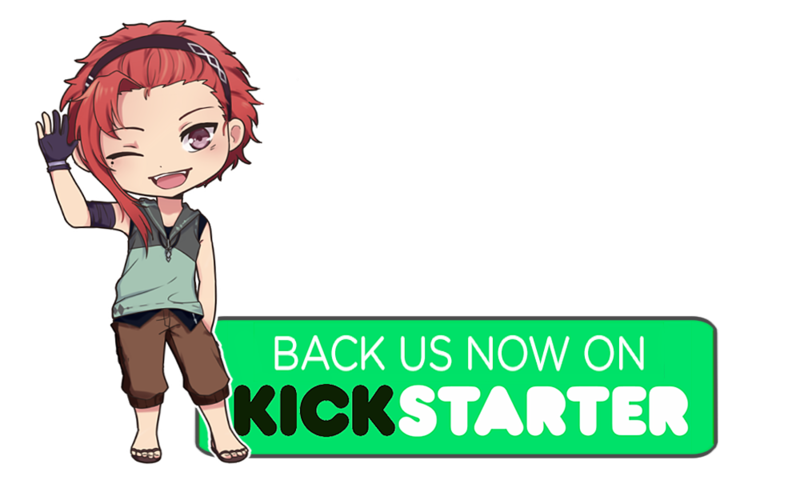 Final days to join the Kickstarter of Reimei no Gakuen! We are 130% funded! Sorry for the late reply and I'm happy to hear that you enjoyed the demo :) The full game is in development right now and the release is planned to be this year autumn, and it will be a commercial game. i just made a gameplay of the 1 part of the Demo. Goddamn that cliffhanger :)) I just finished the demo and I had to come back here and write this. I enjoyed it a lot! The art is really nice and the characters are all really likeable . I can't wait to learn more about them after the full game is released. I'm very interested in Aito and Sin particularly but every other character interests me in some way or another. My favorite one for the moment is definetely Remi :)) She is sooo adorable. 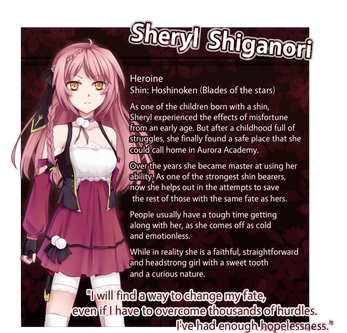 I was also very pleasently surprised to find out that Sheryl is not the typical MC for this type of game, mainly because I didn't read the characters bio before playing it so her personality was a surprise to me, one I very much enjoyed. That's all from me. Again, I really enjoyed the demo and I can't wait for the full release! forgot to say this in my earlier post but I also just love how Sheryl is she just so friken amazing because she's not like some of the girl's in thesetypes of games where their totally clueless, and she's so far really badass XD and I just love and even though she's badass she still has her own flaws, weakness and she can't do everything on her own it really builds the story and the plot I love it also really builds her back story and once again I'm just in love with this game. I'm loving Lagi and it makes me want to know more about Sheryl! He's definitely going to be my first route when I get the full game in August! I've played the demo and I must say, the characters are really likable! They have quite a varied personality despite myself only seeing so little. I really love how the heroine doesn't express much emotion but you still manage for her to convey emotion through the things that she does. Everytime I look at Hiryuu he seems like he's on a mobile phone . It's the way he's holding the clipboard to his face lol, maye a design change is due? I enjoyed the music throughout, the writing seems sparse in places, some of the male characters hairstyles and bulid look very feminine though, more manly looking perhaps? The background art has potential and I like the small amount of colour backgrounds so far. I know more writing is needed and this is a work in progress still but please give more character interaction, responses etc. I would like to see some action screenshots of the monsters though although it is a demo, perhaps in full game. Overall it's a good start, has potential going forward and I look forward to seeing its development and release. Good luck! NOOOOO! I WANNA KNOW MOOOOORE! I wanna know what comes more! THAT ENDING! >.< when is the official release? i will buy it FOR SURE!! So happy to know you are so excited about the game ^^ The release date will be announced after the currently ongoing Kickstarter campaign ends. I've gone through the beginning of her visual novel with this live stream. All narrations were done by me! I just finished the demo and I'm very excited to see more, I really enjoyed the imagery you conjured in text where the backgrounds are still in development, the Rose Gates especially, I loved the description of wings as the gates. The characters are wonderfully varied and well designed and I can imagine the huge scope of possibilities with each of their personalities and situations. I really hope that I can afford to support you in the near future as I can't wait to see what's left to come! Do you know an approximated date of when the full version will be released? It seems really interesting, downloading the demo today! So happy you liked the demo >v<// I will be able to tell an approximate release date after the Kickstarter ends, because that will determine the features of the game (for example whether there will be voice acting) and how much help I can hire. Can't wait for the Kickstarter to be live because I want to support this excellent game! p.s. keep working hard! i'll wait as long as it takes! The price of the final game will be 25$ ( in the first week it week it will be on sale for 23$). I live in the uk will I still be able to purchase it? thank you for making this awesome demo, i'll wait for the full version! I'm so glad you like it so much!!! Wow. This game is absolutely beautiful. I especially loved the backgronds in the Prologue. From what I can tell, this will be a beautiful game once completed. I appreciate that you released it even with some backgrounds incomplete- I can't wait for once they're all done. The characters are absolutely beautifully drawn, along with their lovable personalities is a wonderful mix for drawing the viewer into the game. Best of luck with the rest of the game, and I hope this high standard continues throughout the game. I have no doubt it will. You have my support! Even though moral support is rather worthless, I suppose. Thanks for the great demo. Cheers. I am hooked on this game. Also absolutely adoring the characters . Though by far I have to say I am loving Hiryuu! Each characters route seems very interesting. Hey! So I actually played the demo last week, but I didn't have an account then so I couldn't post a comment. I actually ended up re playing the demo, and deciding that I absolutely need to tell you how much I enjoyed it, I went and made an account xD I love the game so far, the world and the characters were very interesting :) I'm really looking forward to the full game because I'm so invested in the world and the premise. I really like Sheryl as the heroine too, and I enjoyed how story oriented this game is, unlike some other games that focus on the romance then story. The art is also very nice too. 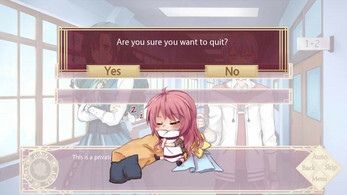 I have zero knowledge when it comes to making a visual novel, so I cannot offer actual help, but I'm sending moral support!! Good luck with this, and keep up the good work!! Hello! I'm super loving this so far, I'm really excited to see how this all turns out! Perhaps, you might not want to hear this (I'm not really sure how you'll be updating this or just releasing the full game when it's complete), but I would much rather have the script more complete than drawings and character design at first. I know that it's much better to have everything progressing at a good pace in one piece, but it's just a personal preference that I at least want you to know about if you update it! 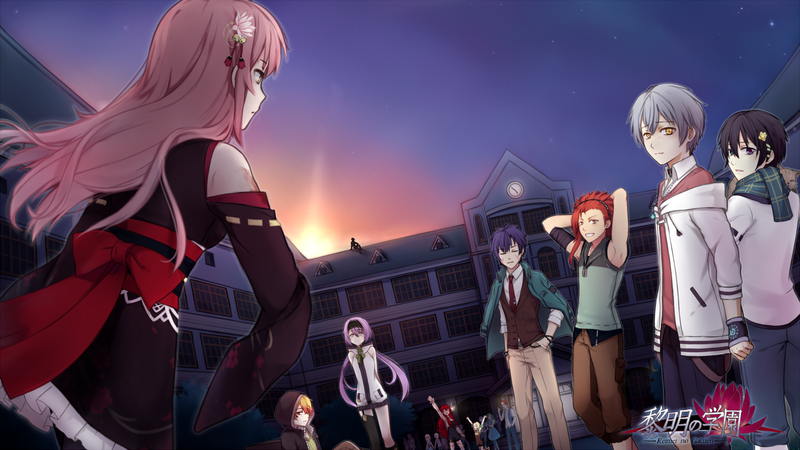 I love the plot and I'm very happy that the characters are much different than what I'm used to seeing in typical otome games. I'm very excited, I really would love to lend a hand in helping but unfortunately I almost have no time in my schedule... Keep up the great work though, I would definitely recommend this to others! Hey! I absolutely love the demo. It. Is. AMAZING. Keep up the good work. But I do have one request..... for the description you have of the game, it makes it seem like all the features are already there. It's a little misleading so maybe you could change the description >.< Anyway, I'm totally looking forward to when the game gets done. Also, if per chance you need any help with the development of the game, I could lend a hand. I know my way around Ren'Py and I do fancy myself a writer. lol. Thanks for the great game!